My knitting needles have been busy! 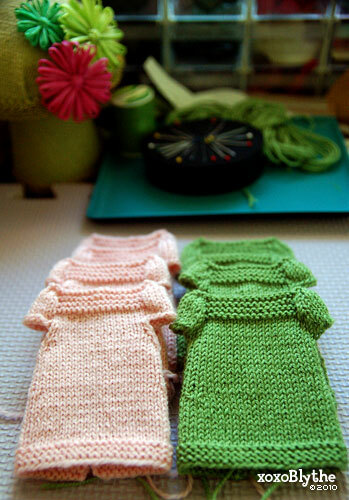 These are in colors "Blush" and "Cricket" (are they cute color names or what?). I have three more colors to do before a big update on Etsy. Hopefully in a week or two. 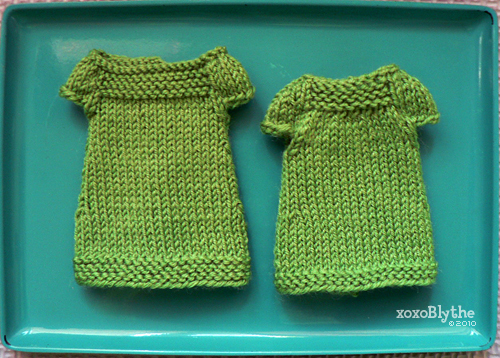 I really wish I can knit faster, but I would rather produce better-quality garments. I'm really enjoying the early summer days in Los Angeles. The June gloom is great, I love the cool and cloudy mornings followed by afternoon breeze and sunshine. I've been going to the park after work for a nice walk, and I'm thinking of getting a bicycle. Riding the bike around in my neighborhood would be so much fun and great exercise too. Hope you are all having a great summer (and winter for those down South)! Taylor tells me she loves animals and is a nature girl. She enjoys baking and veggie-friendly treats like tofu, tempeh and seitan. Hopefully she will inspire me to be more like her! She is so sweet, I think she will get along with the rest of the girls just fine! 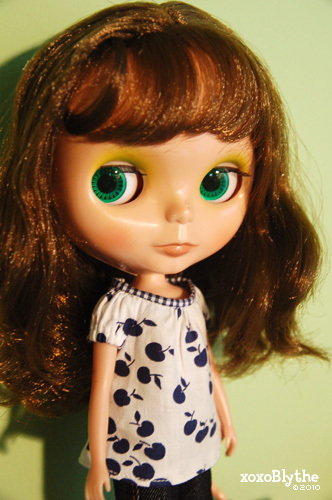 I have a feeling she will be best friends with my other BL girls, especially Abby and Emma. Okay, I used to say I didn't mind if the Post Office worked only five days a week. But oh boy do I love these Saturday deliveries! 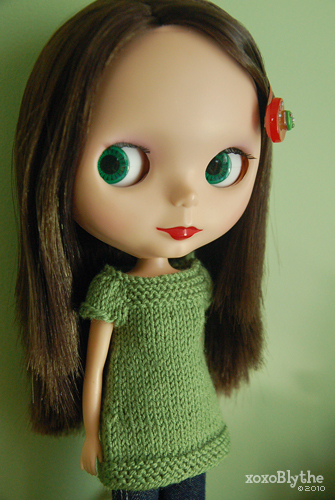 I've been a big fan of tunic tops for a while, both for me and for my dollies. I love the retro-style silhouette and how comfortable yet stylish they are. 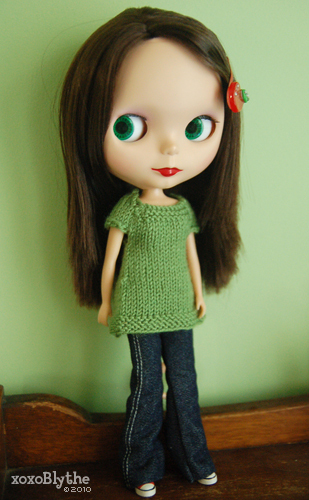 There are quite a few sewn/fabric tunic tops that we love on Etsy, but I haven't been able to find a knitted version that I liked. So it was sort of a "happy accident" that I ended up knitting one after experimenting and lots of trial and error. Abby looks quite pleased - this one was an experiment so we get to keep it! Even though it looked okay, I wanted a much cleaner neckline, so I went ahead and made a few more. These are the two that came after. I played with the hem height and also the height of the neckline. 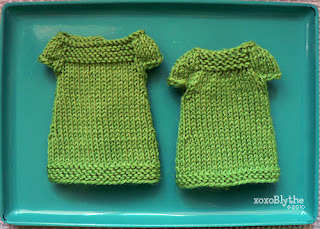 I also tried to do teeny puff sleeves (LOVE puff sleeves!). We ended up going with the one on the left. The one on the right is a bit smaller and still looks great on Licca bodies.